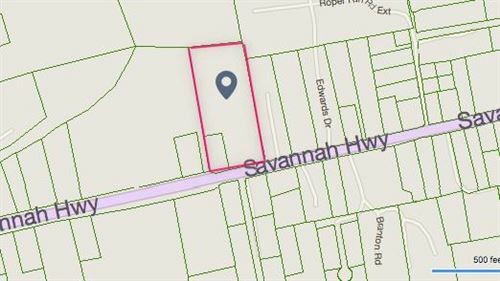 this lot is being sold with the adjoining lot for a total of 7.44 +/- acres directly on Savannah highway tax map number 187-00-00-068. with approximately 400ft of road frontage. Some wetlands in the back part of the property (survey to be completed soon). 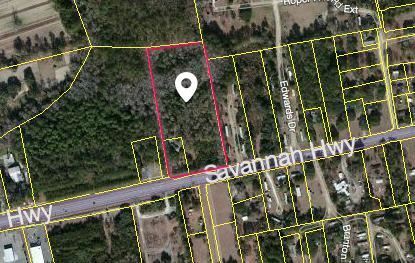 The lot next door has a brick home. Plenty of beautiful oaks.